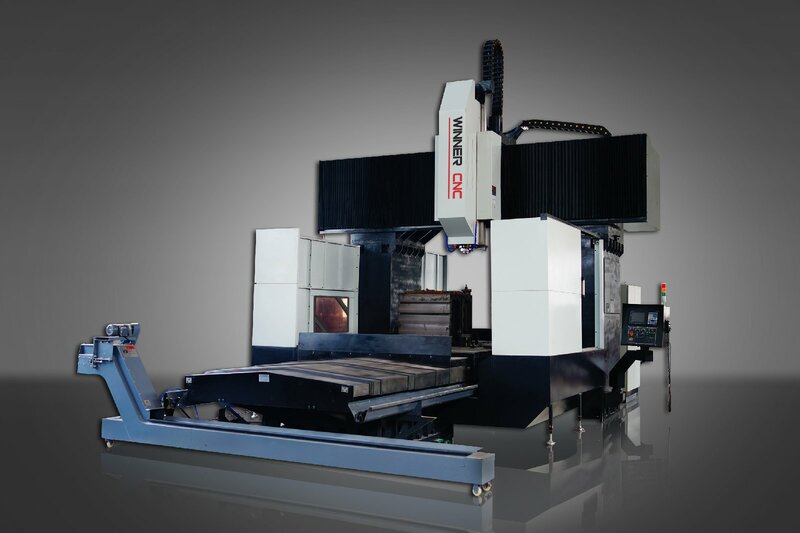 YJM4032 CNC gantry milling machining center with movable worktable adopts Japanese advanced technology of dynamic stiffness, which has high vibration absorption, high accuracy, high precision, high rigidity and stability even under a large torque and heavy cutting. The machine has multi-functions of milling, boring, drilling inner holes, ex-circle, flat surface, bench, cone, spherical surface, grooves etc. with a high speed and accuracy. This machine is widely used for energy, aerospace, automotive, printing, fabrication, transportation, military project, rubber, molding, food industry and so on. The machine tool is designed and manufactured according to the international standard ISO, the units of measurement of all parts and meters of the full use of the international system of units (SI) standard.